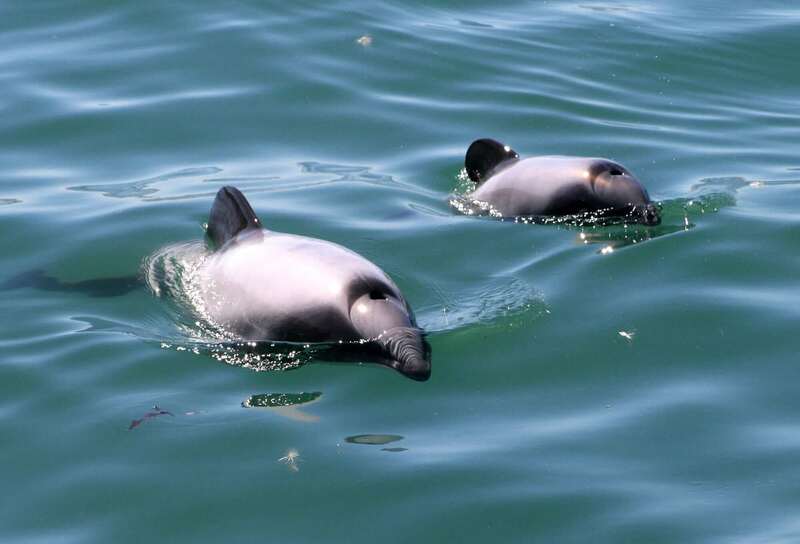 The rarest marine dolphins in the world, there are only around 7,200 New Zealand dolphins left (including only 55 Māui dolphins). If we don’t fight for them, these beautiful souls will soon be gone forever. New Zealand dolphins hold the record for being the rarest and smallest marine dolphin in the world. Known as ‘mickey mouse dolphins’ (because of their dorsal fins) and ‘hobbit dolphins’ (because of their size), they live solely in New Zealand’s coastal waters and are enthusiastic surfers and bow-riders. 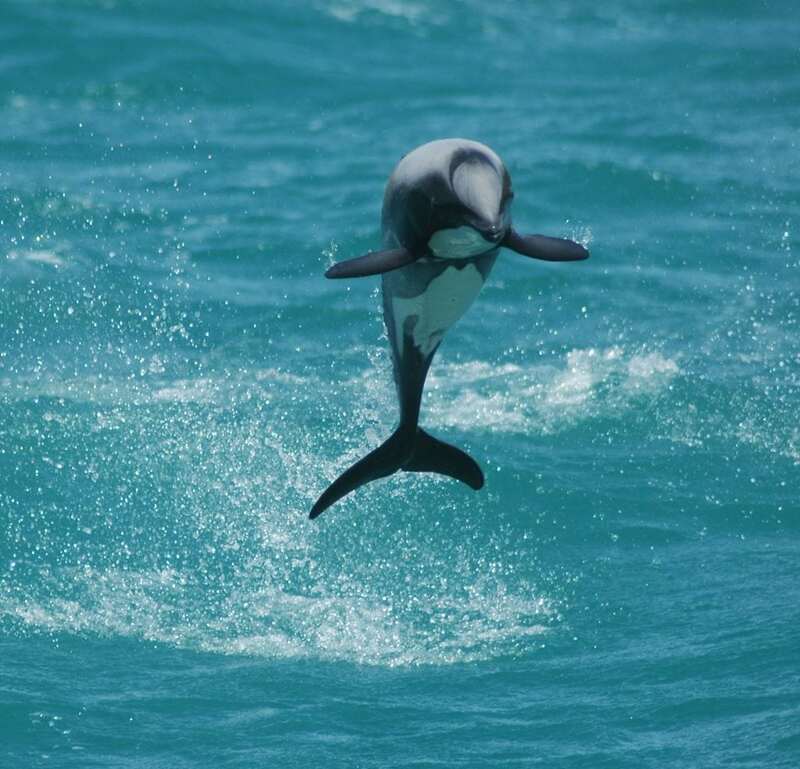 What do New Zealand dolphins look like? New Zealand dolphins are pretty tiny. Smaller than an average human, Hector’s dolphins are more petite than the Maui subspecies and grow up to 1.45m (4f8in) from nose to tail. Weighing between 40 and 57kg, their bodies have beautiful black, white and grey markings, with white bellies and throats and striking black tails. On their heads, they sport a distinctive black eye mask that runs all the way to their black, rounded flippers – making them quite the lookers. Earning them the nickname Mickey Mouse dolphins, their dorsal fins are rounded in shape, much like a mouse’s ear! 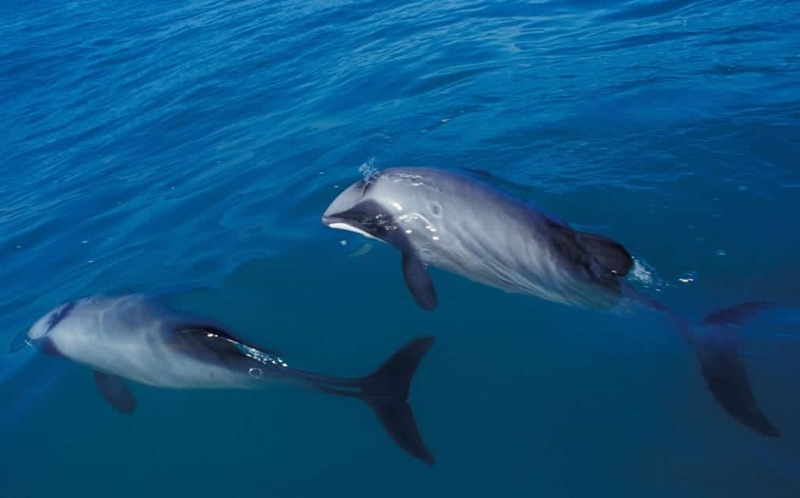 What’s life like for New Zealand dolphins? New Zealand dolphins are social beings and are normally found in small pods of two to twenty individuals. They are a companionable bunch and sometimes get together in larger pods for short periods of time. During these encounters, the dolphins become quite boisterous, acrobatic, excitable and noisy, performing stunts to attract potential mates. Their social system is called ‘fission-fusion’ (similar to other dolphins). This basically means that they’re not particularly shy, and if a group of four dolphins meets a group of five, they don’t necessarily split up into their original groups again but can go on to chop and change, forming new groups when they go their separate ways. 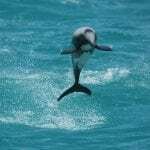 What do New Zealand dolphins eat? New Zealand dolphins eat a variety of coastal schooling fish including red cod, yellow-eyed mullet, stargazer and squid. Like other dolphins they use echolocation to find their food. 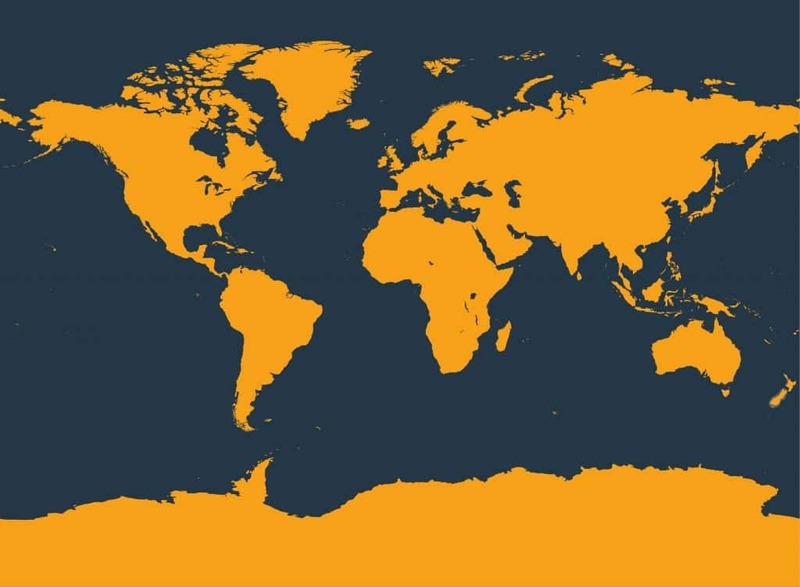 Where do New Zealand dolphins live? 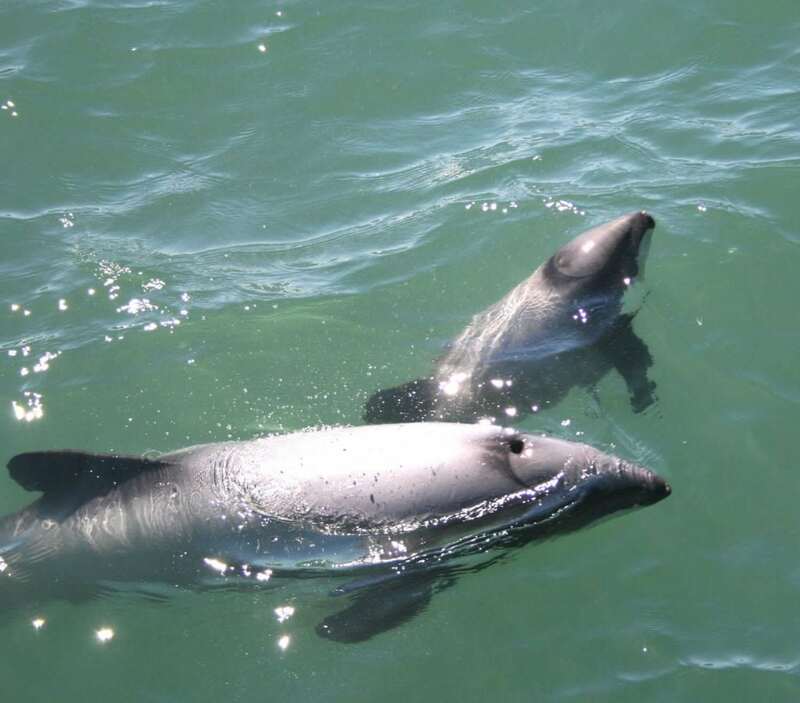 New Zealand dolphins have one of the most restricted ranges of all dolphins; they live only in some coastal areas of New Zealand and nowhere else. They prefer shallow waters less than 100m (328ft) deep and 16km (just under 10 miles) from New Zealand’s shore. Preferring to stick to where they know, individual dolphins usually cover an area of about 50km of coastline, and scientists have recorded the same individuals in the same general area year-round for over 20 years. These days, their distribution is patchy around New Zealand’s coast – a stark reminder of the difficulties they face. Due to a major decline in numbers, only small, fractured populations remain. New-born New Zealand dolphins are teeny weeny – they look like rugby balls with flippers. Their markings are the same as adults, but they are generally darker grey. Babies feed on their mothers’ milk while they are taught how to catch their own food. The youngsters stay with their mums for up to two years. 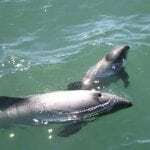 New Zealand dolphins live close to shore in shallow water, and are curious, social beings. They readily approach boats to bow ride and can often be seen expertly surfing the waves in bays. Why are they so endangered? New Zealand dolphins have a slow reproduction rate and fairly short lifespans, reaching only 20 to 25 years old. Each female will have a maximum of four or five babies in her lifetime and won’t have her first calf until she reaches seven to nine years old. With females then reproducing every two to four years, populations of New Zealand dolphins can only ever achieve a growth rate of about 2%. In sad reality, this means that a population of 50 New Zealand dolphins can only grow by 1 individual at most in any one year. With entanglement in fishing nets killing at least 100 New Zealand dolphins each year, the entire population of New Zealand dolphins has swiftly and radically declined. Every year, many more New Zealand dolphins are killed by fishing nets than are born, and so their numbers continue to decline. Urgent action is needed to save them. Entanglement in fishing nets, especially set nets and trawl nets, is the number one threat to New Zealand dolphins. These nets used in coastal waters less than 100m deep have entangled and killed thousands of dolphins and have caused catastrophic damage. There has been a 74% overall New Zealand dolphin decline and a 90% loss for Māui dolphin over just three generations. 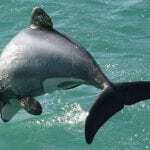 New Zealand dolphins are now facing extinction. 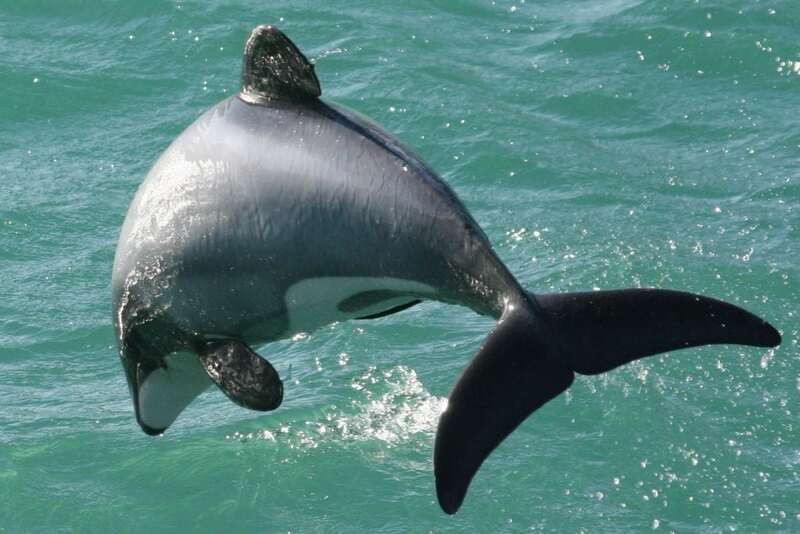 Can the New Zealand dolphin be saved from extinction? Yes! New Zealand dolphins are amongst the best studied in the world and experts have explained clearly what we need to do to save them. Their future is in the hands of the New Zealand government. If it acts, as it has been urged to do by scientists locally and globally, and 1) bans gillnets and trawl nets in New Zealand waters less than 100m deep, and 2) encourages the use of alternative fishing methods that do not kill dolphins (such as fish traps and hook and line fishing), the decline in dolphin numbers will stop and populations will have the chance to recover. Unless urgent action is taken now, there is a very real risk that the New Zealand dolphin will become extinct in the next few decades. Fishing gear – New Zealand dolphins get accidentally caught in fishing nets and lines, injuring or even killing them. Pollution – energy companies wish to explore the home waters of the dolphins for potential sources of oil and gas.